The Incentive-Sensitisation Theory (IST) posits that reward is composed of distinct systems of wanting and liking that are mediated by separate neurobiological systems. 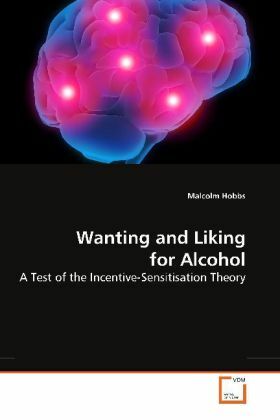 The IST claims that under drug use wanting and liking can become dissociated as a result of a progressive and selective neural-sensitisation of wanting but not liking. The current research sought to explore this dissociation between wanting and liking in humans using alcohol.